Approximately 30 Million cars will be produced in the European Union and the United States in 2015, from an estimated total of 90+ Million produced world wide. Manufactures in Germany, Spain and France producing the most in the EU area. The United Kindom is the EU’s 4th largest producer by volume and is one country where car buyers are particular tech savvy and demanding, perhaps an example of what is to come on a global level. The UK is also a center for automotive research and development, innovation and as such is a nexus of hardware / software integration and IoT networked cars. In an age where the Internet of Things (IoT) is defining the value of new products though software based networked systems and features, the automotive industry is leading the way. Automotive Innovation hotspots such as the UK must pay close attention to Software Quality Assurance, indeed, forcasts that 1 in every 5 cars will be connected to a wireless network by 2020 highlight the scale of the problem. In another research paper ABI research predict that there will be 400 million connected vehicles by 2030. The very availability of sophisticated networked cars, is driving demand for them, buyers chasing the most cutting edge,- human nature what it is, people always seek more, something better. Consequently car manufacturers are scaling up to manufacture the next gen cars. At the very cutting edge in design and innovation is the Autonomous car, an area of fierce competition. Recently Mercedes Benz, BMW and Audi have all started recruiting software specialists in order to meet, what some suggest is the threat posed by the success of Googles autonomous car named the Koala. The change in gear of innovation is reportedly due to shift from manual controls to the integration of computer systems. Entire new departments are being created by automotive manufactures to compete and tackle the technical challenges, departments referred to as connected car departments by some. All of the big German car manufacturers are recruiting 1000’s of employees (each) to meet the connectivity challenge and scale up, by doing so, - all at the same time they are creating a major headache for recruiters. Considering the recruitment challenge, it makes sense then to takeover other companies with the personnel with the right skillsets and innovative products that can be adapted for use within automotives. This is precisely why the following recent takeovers have happened. Daimler purchased MyTaxi and RideScout. Perhaps the greatest, most serious of challenges for manufacturers and automotive suppliers is the car buyers greatest concern, that is the issue of reliability. Two thirds of buyers polled in a What Car? Survey rated reliability as the most important thing to look out for when in the market for either a new or used motor. With so many high profile examples of automotive recalls due to software failures, its not surprising that the issue of reliability is buyers greatest concern. Perhaps the most recent example is Fiat Chrysler’s recall of 1.4 million vehicles to install anti-hacking software. Hackers could take control of a 2014 Jeep Cherokee, - just one of many examples of recent software failures. Despite efforts to improve vehicle reliability there is still a long way to go, the situation is critical in the area of embedded software, after all, it is the new fronteer in automotive feature design. 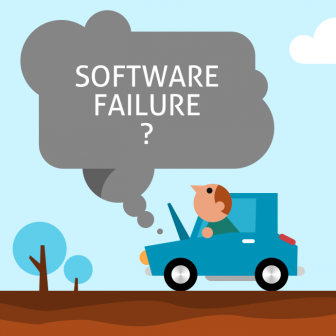 The reliance of automotive manufacturers on embedded software for adding new features is likely to cause a big increase in software failures during the next 5 years as software complexity increases. Software Quality Assurance is therefore paramount for automotive suppliers such as Continental AG (automotive parts manufacturer) and Daimler (largest supplier of commercial vehicles in the world) who have done their utmost to ensure quality. They rely on Intland Software’s codeBeamer ALM to ensure software quality complies with automotive standards.